Nobody can tell me that that is not a regular on their list, man! Manu is the godfather. 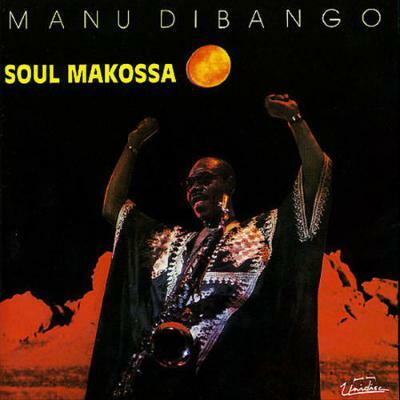 Soul Makossa, man, everybody knows that album. (Track plays: "Mama say, mama say, mamakossa.") You know he got the money? From Michael Jackson. Of course. He [Michael] took his line, man. Manu got the money for that, I don't know how much he got, but he won. That is so cool. It's just this, or that new one, somebody has won some money again. Where is the line, man? It was more soulful and funky [than Afrobeat]. This was on at all the parties. If you go to a party, they would play this. I am talking about 1975, '76, '77, '78, this was always on my playlist. I had it on tape and each playlist had this full track on it. It would blend into a list of tracks. Yes! You cannot kill a party when you play this, man! And then the babies, with their [makes curvy shape], and then they're like [makes kissing sound]. But don't touch it! You can't touch it. That's the title of my new record. You see it, but, ah! Don't touch it, or else you might get a whack! Dance with it, shake with it, you know? So that is Manu for you. The whole album is great, but this is the one that stands out for me.